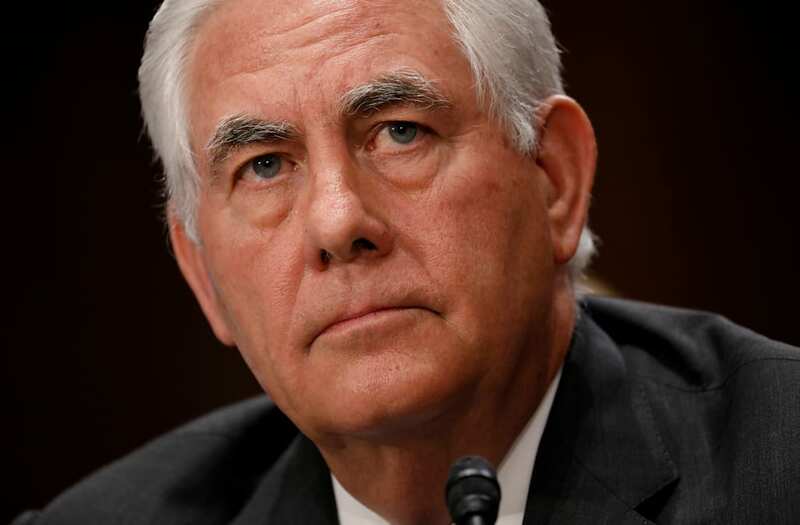 There is speculation that U.S. Secretary of State Rex Tillerson may be thinking about stepping down from his job amid reports of mounting conflicts with the Trump White House. CNN is reporting that Tillerson has been discussing leaving the position with people close to him outside of Washington, however he appears to be determined to finish out at least a year on the job. But two inside sources indicated to the network that the move could come sooner, citing "a noticeable increase in the secretary's frustration" with the White House. Among the issues the secretary of state is believed to have with the administration is President Trump's recent criticisms against Attorney General Jeff Sessions. In a recent New York Times report, Trump went after Sessions, saying that he "should have never recused himself, and if he was going to recuse himself, he should have told me before he took the job and I would have picked somebody else." The president reportedly believes that Sessions' decision resulted in the special counsel investigation currently headed by former FBI Director Robert Mueller. Tillerson is also said to have disagreed with Trump about the Paris climate agreement, with a Washington Post reporter quoting him as saying, "I took a counter view to the decision that was made." He was reportedly one of the most vocal opponents of the decision to withdraw within the administration, notes The Week. The report about his potential early departure comes on the heels of press secretary Sean Spicer's recent exit and speculation that Trump may be considering replacing Sessions with former New York City mayor Rudy Giuliani.